We spoke with Gina Selvaggio-Marquez, Director of Financial Reporting and Planning at Easterseals UCP to gain insight about the organization’s budgeting and reporting processes. Easterseals UCP ultimately chose PowerPlan, Questica’s non-profit budgeting solution. Having a large staff, they needed to thoroughly examine and budget for labor costs. In addition, they needed to utilize a variety of formats to analyze their revenues and expenses with PowerPlan’s custom reporting features. PowerPlan provided the ability to have an organization-wide rollout of the system through its Workflow capabilities which enhanced Easterseals UCP’s process with controls that did not previously exist. PowerPlan includes built-in, bi-directional integration with Abila MIP Fund Accounting. The data is seamlessly transferred from one system to the other as often as needed. For Easterseals UCP, Program Directors utilize the PowerPlan system to stay on top of current spending and labor allocations ensuring that billing to funding sources is accurate. Gina initially adopted and became familiar with PowerPlan, then rolled out the system to users across the organization. It was crucial for her Clinical Program Leaders to understand and accept the system as the new standard reporting process, as they run the day-to-day operations for Easterseals UCP. As an organization providing behavior and mental health services, labor is the major portion of the budget and needs to be calculated and allocated accurately. Gina has her clinical team enter their projected wage numbers into the system and PowerPlan calculates all taxes and fringe benefits. This not only ensures accuracy, but is also a huge time saver. Working from a centralized system, Gina and her team are now able to assign Workflow stages to each cost center budget. Workflow enables the organization to view the current status of each cost center and control who should be entering or changing values at any stage of the process. 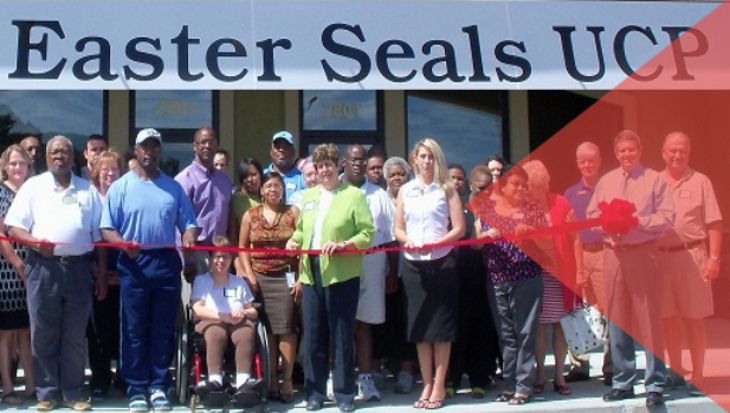 With Easterseals UCP’s previous manual process, it was very difficult to understand the overall status across the organization. Now, they know if someone is ready for final approval or if a manager has not even started their budget. One of the most important aspects of the PowerPlan system is how it organizes your data collection process by centralizing everything and applying structure. You don’t have to worry about inaccurate formulas or building links to get summarized rollups as you do with spreadsheets. The ability to view data from any level of the organization and quickly drill-down to supporting details provides a much more efficient way to navigate the month-end board meetings and reporting process. Thanks to more efficient budgeting, Easterseals UCP is brilliant.